Life...Fun and Kentucky Real Estate: Study Lexington KY Real Estate The Easy Way - Read I Love Kentucky News! 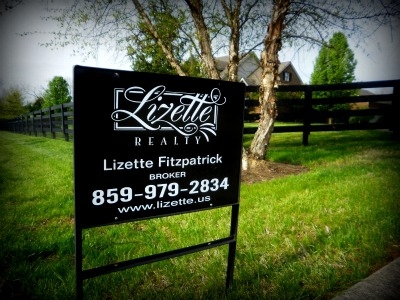 Study Lexington KY Real Estate The Easy Way - Read I Love Kentucky News! Now, it's SUPER easy to search and discover homes for sale in the Central Kentucky area. 1. Click open the button below to begin your search. 2. Next save the page to your favorites to be able to quickly search anytime. delivered to your email mailbox every Thursday? Getting to know Lizette through her newsletter, convinced us that she was the right Realtor for us. We continue to read "I Love Kentucky News" each week. The newsletter always gives us ideas on local events to attend or new places to try. there that very afternoon. Some of our best weekend adventures have come from it as we found out about festivals, events and places to go. We can also always count on creative ideas for home improvement projects. Lizette, having that QUICK ability to search is awesome !! Have a great day. Very nice post and great pictures. Hope you have a great week. Is market leader working for youin Lexington? Good Post to generate new leads.